One love to save them both. Life has never been easy for twenty-year-old Levi Carillo. The youngest of the Carillo boys, Levi is nothing like his older brothers. He isn’t dark in looks or intimidating to everyone he meets. In fact, he’s quite the opposite. Haunted by a crippling shyness and the tragic events of his past, Levi spends his days with his head buried in his books, or training hard for his college football team. Too timid to talk to girls, Levi stays as far away as possible and completely on his own… until he saves the life of a troubled pretty blonde, a troubled pretty blonde that might just be the exception to his rule. Elsie Hall is homeless. Or at least that’s all anyone ever sees. Everyday is a fight for survival on the cold streets of Seattle, everyday a struggle to find food and keep warm. Alone in life—a life that’s dangerous and cruel—her will to keep going is an ever-losing battle. In her world of silence, Elsie has given up hope that her life will contain anything but constant struggle and pain… until the beautiful boy she has severely wronged comes to her rescue at precisely the right time. New Adult novel—contains sexual situations and mature topics. Suited for ages 18 and up. Tillie Cole has fast been becoming one of my favorite authors and Sweet Soul firmly cemented her into a top favorite, must buy, fan-girl over, own all the books author. 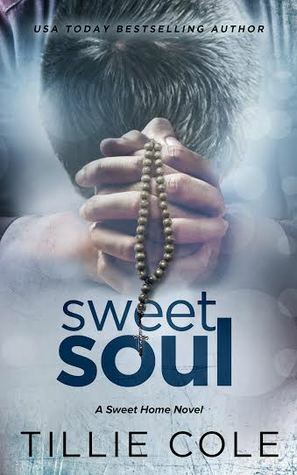 Sweet Soul is almost too difficult to review, it will require an obscene level of sappy gushing and a few stray tears as I recall the story. Tillie Cole takes sweetness to a whole new level with Levi Carillo and Elsie Hall and just when you think 'ugh, this is going to be TOO sappy' you find that Tillie has expertly laid out a story that is beautiful in both its sweet love and heartbreaking pain. Levi Carillo is a broken boy. Always the quiet, shy, sweet brother, he is nothing like his brothers and yet forced to play the same rolls that they have taken on. Forced into The Heighter's Gang and pushed to do things that his soul and mind were incapable of processing, with the passing of his beloved mother, the incarceration and then desertion of his oldest brother and the inability of his other brother to properly care for him during a crucial time in his life Levi turns farther and farther into himself. Elise Hall's life has been one of poverty, despair, cold nights spent in the rain, wondering when she and her mother will be evicted back to the streets. They were nights of rationing her mothers drugs and of fear in not knowing what would become of them. They were days and nights of muffled sounds, of quiet, and of hiding who she is, fearful of rejection. Both Levi and Elise are merely surviving. Living is secondary to getting through each day. Levi's life may be cushioned now due to his family, but his existence is no 'better' than Elise who is barely hanging on to life as she fights to survive on the streets of Seattle. Through a series of events that leave you knowing that Momma Carillo is watching down on her boys from heaven Levi and Elise cross paths and their lives will change forever. They will find the one person they are meant to live for, but will they be able to allow each other into their personal pain, will they be able to ask each other to help them carry their load? Tillie Cole can write broken characters, especially her broken boys, like no one else out there. She will strip your soul bare as she takes these characters and builds them up. One of the things I love most about the way she writes her characters, especially as seen here with Levi and Elsie is that she doesn't 'fix them'. There is no way to fix these character's pasts, but they can be mended. She mends them through bonds of friendship and family and most importantly love. It is clear that her characters while they get their ever deserved HEA are not now that they have found love just going to sail through life on puffy clouds of happiness. No, each character will still struggle to accept their pasts, accept who they are, but they do it surrounded by so much love that it makes all the pain bearable. Axel, Levi' older brother is a prime example of this. He found his HEA in the story before this, but I loved seeing him here in Levi's story still fighting through his guilt and darkness. I am not joking when I say that my eyes were damp with tears through out this book, but they are the good kind of peaceful tears that you have when you see pain and hurt before out but you also see so much love that it pushes the pain back. Tillie Cole delves deep into painful issues, bullying, guilt, drug abuse, homelessness, and suicide. These are issues that might be triggers for some so please go in with caution but know that they way she handles each of these issues is done beautifully. In fact one of my favorite parts of this book is how she handles these issues. 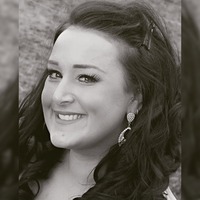 The poetry that 'Elise' writes, these beautiful words that she gives us to help understand and cope with the pain will make your heart crack open and soar. It always amazes me how Mrs. Cole is able to take such hard dark truths and make them less difficult but give the people who are suffering beauty out of the pain. I also loved that with these two characters who have been through so much we get to see them experience so many things together. We get to watch as two sweet souls come together. This is a book about a deep and powerful relationship every romantic scene is executed with the quiet peacefulness that you expect from these two characters. I loved their honest reactions to their relationship, something that neither of them have ever experienced before. I loved that they were authentic in themselves, they were timid and shy and caring of one another. Truly this book is one that will leave you sighing happily through most moments. Really with out going into that full on sappy gush mode about my love for this author and this book all that is left to say is that if you are a romance fan of any kind this is a book you do not want to pass up. I highly recommend reading the entire series, all the characters from previous books will make appearances and most importantly you will want the background of the Carillo brothers. There are beautiful and painful flashbacks that Tillie Cole gives is so you won't be totally lost if you decide to dive in here with book 4 but you will be missing out on how the boys went from one place to another. I also want to leave you with this quote because it sums up so much and is a favorite of min, it is also something I would like to see everyone take into their hearts and think about daily. "Do you know what I wish for, Levi, what I hope and pray for all the time?" "That people have one thought, one instinct: be kind hearted. Simply be kind of heart." “Carillo. You got twenty more sprints, then you can hit the showers,” Coach shouted, as I took my place back on the field. Putting my head down, drawing myself down to focus, I got it done. Twenty sprints later, I threw a wave to Jake and Ashton who were still hitting their sprints. I made my way inside. I always finished first. Football was my life. It was what I did best. It was the only constant I’d ever had; I could trust football, I could trust the routine. It never let me down. My cleats tapped on the tile floor of the locker room as I toweled off sweat from my face. I hit the showers, and in less than five minutes under the boiling spray, with only a towel around my waist, I headed into the locker room. I entered the change area, just as a movement caught my eye, right in front of my station. A girl. A petite, thin girl—scraggly long blond hair sticking out of a pulled up hood; dressed in dirty black jeans, chucks riddled with holes, and a scuffed black leather jacket. I froze, startled by what the hell a girl was doing in here, in the football locker room. Then my eyes widened when I realized exactly what she was doing. Her left side was to me, her rail thin body showing me most of her back. Her hands were in my bag. Instinct kicked in and I stepped forward. “Hey!” I shouted. But the girl didn’t move. I shouted again, my heart beating fast. It seemed like it took her a minute to hear me. She froze, and flashing me a quick glimpse of her shocked dirty face hidden under her black hood, she pulled something to her chest and sprinted out of the locker room, then straight outside. I stood rooted to the spot, completely shocked, until I remembered that my bag was wide open. I rushed forward and looked inside. At first I didn’t think anything had been taken, then I noticed my wallet was missing from the inside pocket. I began throwing my clothes and sports crap out onto the floor, searching the entire bag. But as I reached inside the hidden compartment, there was nothing. Standing straight, I ran my hands through my wet hair. My eyes darted around the room. I questioned how the hell she’d gotten in here? In a secure room? I breathed out through my nose, trying like hell to calm down, when shards of ice sliced, like spears, down my spine. Every part of me stilled as a further realization kicked in. My wallet. My wallet not only contained all my cards and ID, but also the one thing that mattered the most to me—in my whole life.